If you would love to update your home interior but are unsure where to start and worried about the cost, then take heart – you don’t need to spend a fortune to enjoy the latest interior styles – just take some tips from the experts. Here, Focus on Furniture stylist Melissa Gullifer shares her forecast on the key interior trends for 2018 and how you can have them without breaking the bank. Metallics– the word on the street is that copper has had its day, so if you missed the trend, there’s no point in wasting time and money trying to catch up. Instead, add a touch of classy brass to your home – the new rising star of the metallic family. Choose accessories such as a brass-framed mirror, pot plant holders (yes indoor plants are back!) or metallic framed prints and photographs to make a pretty display. Colour-up– move over rose gold and pretty pastels. Rich, opulent colours are back. Take inspiration from retro colour schemes – navy, olive, ruby red and forest green. These will create an instant modern look, either as a centre-piece such as a sofa, or as a stylish occasional chair. 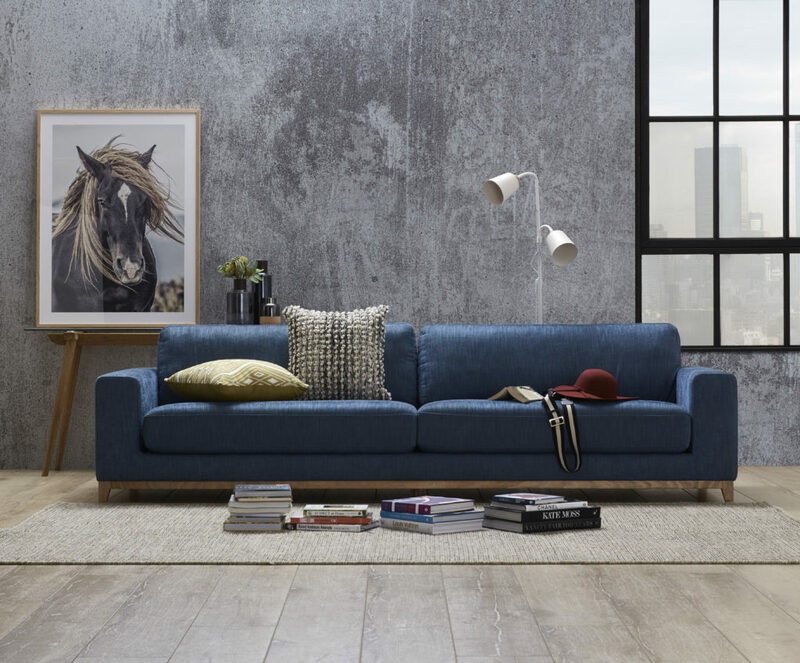 Finished in a striking navy blue with cosy cushioning, Focus on Furniture’s Frankfurt 4 seater is a great choice. Price $1,199. Go natural– earthy tones such as terracotta, tan and russet will make an entrance in 2018. Leather lounges and armchairs continue to trend and make a great long-term investment. Choose high quality leather and enjoy it for many years to come. Marble too continues to make an appearance and will add a touch of classic style with a modern twist to any room. Check out Focus on Furniture’s Ouzo Side Table which features marble and stainless steel legs. Price $299. Wonderful wood– just like leather, natural timber holds its own over time, so you can’t go wrong if you want to update your look with a new timber dining setting or bedroom furniture. Focus on Furniture’s Jenson 7 Piece with Ibiza Chairs range has a beautiful brushed acacia timber to add warmth and character to your dining room. Pick and choose your style of Jenson across the range to save time and money. Cosy up – while Hygge was the buzz word last year, this Danish trend for ‘cosying up’ isn’t going anywhere in 2018. The emphasis is on comfort – think cosy cushions, sink-back seats and snuggle-up lounges. “After watching popular TV programs like The Block, many of us have been hit with the decorating bug and are keen for an on-trend new look,” said Melissa. “By focusing on the key interior trends for 2018 and sticking to a budget, you can successfully achieve a fresh new look for your home,” she said. Focus on Furniture is an Australian company that specialises in producing stylish furniture for an affordable price. The company operates 37 stores in Melbourne, regional Victoria, Sydney, NSW Central Coast, Canberra, South Australia, Brisbane and regional Queensland. 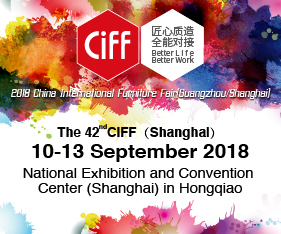 Posted in Architecture & Design, Industry News and tagged australia, business, decor, design, furnishing international, furniture, home, homewares, industry, industry news, interior design, interiors, new products. Bookmark the permalink.